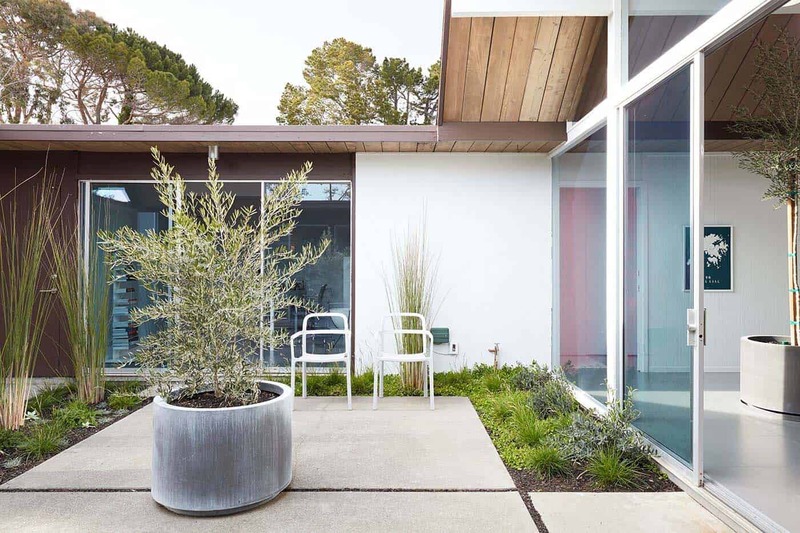 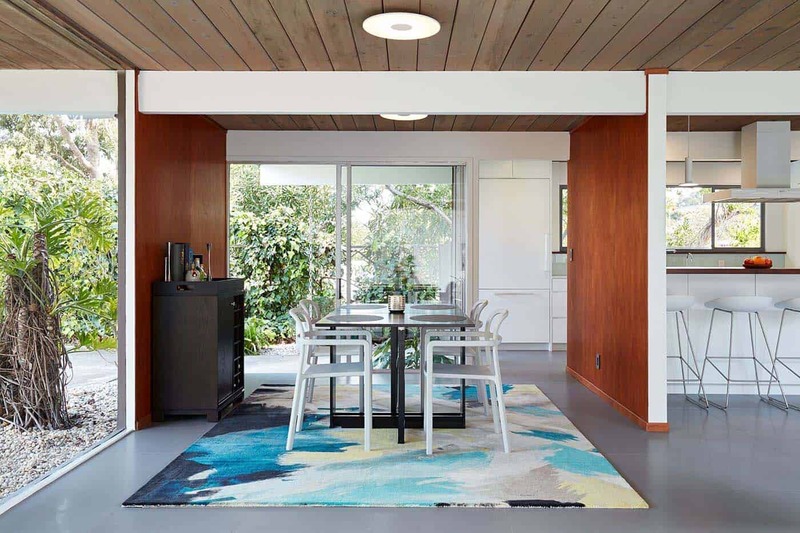 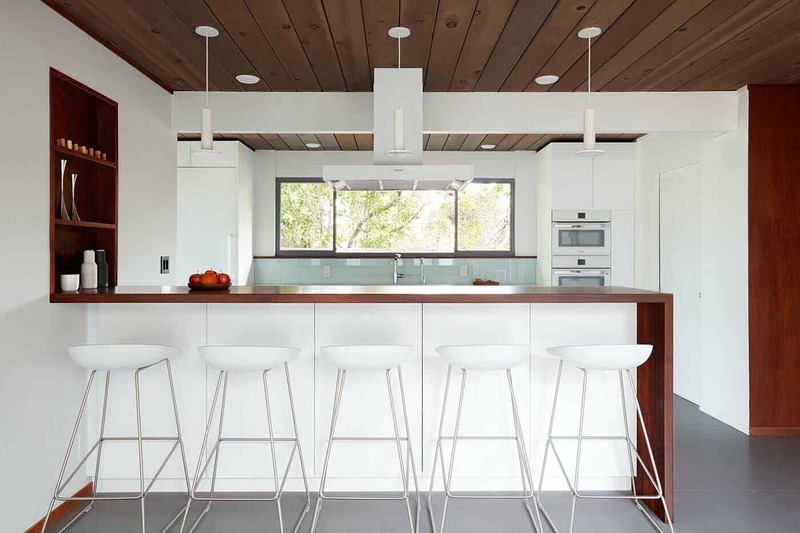 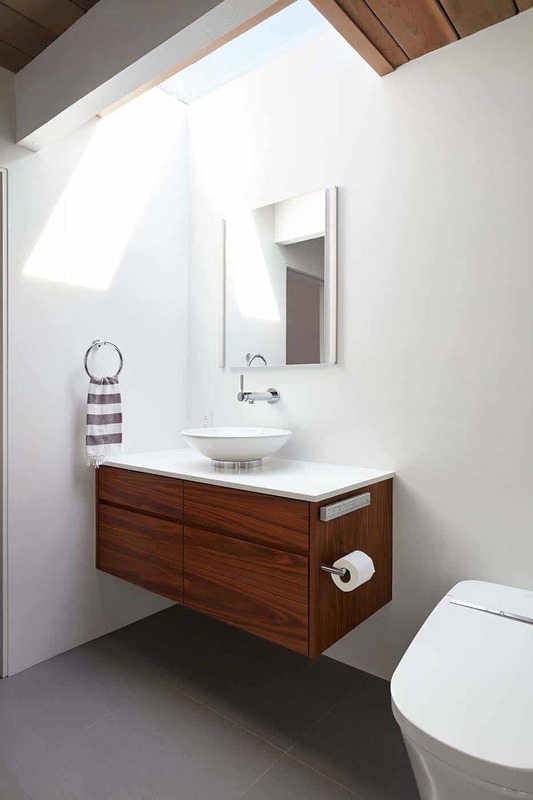 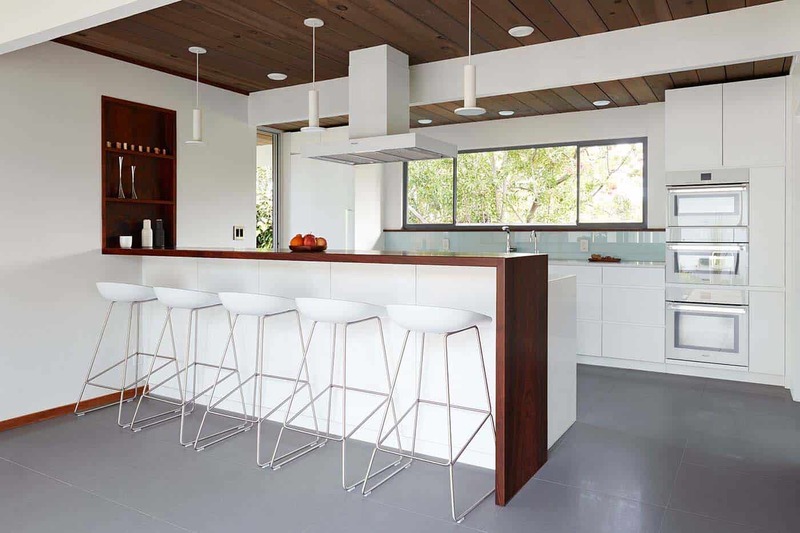 Klopf Architecture in collaboration with Jesse Ososki Art was responsible for the remodel of an existing Eichler atrium home, located in Burlingame, a city in San Mateo County, California. 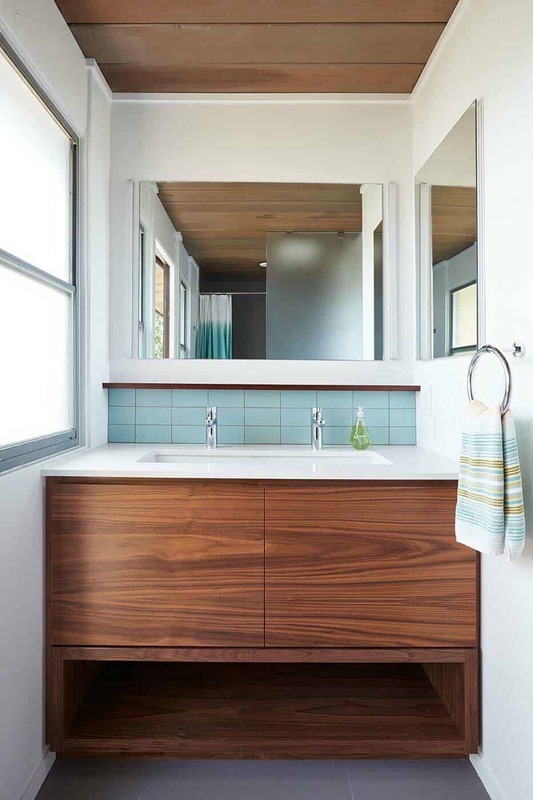 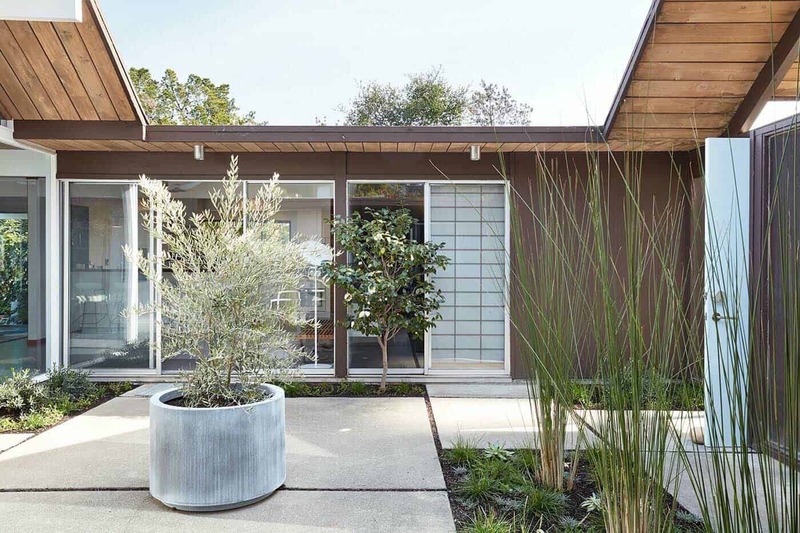 Nestled in the heart of Silicon Valley, the design team transformed this 2,121 square foot, four bedroom, two bathroom home into a brighter, more open, and more functional version of its former self. 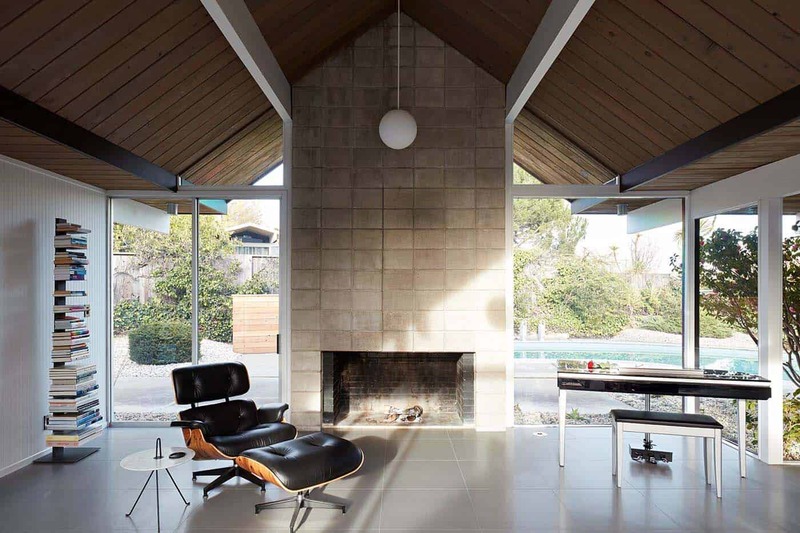 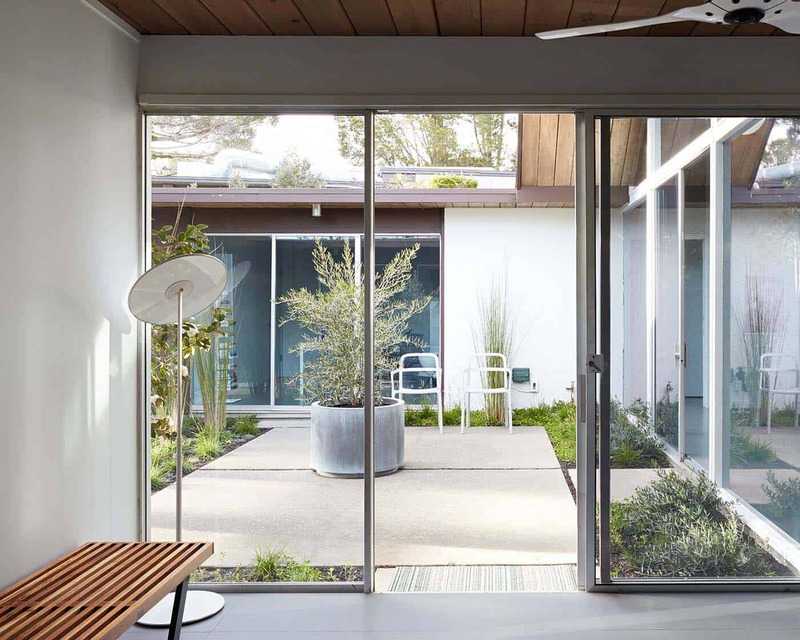 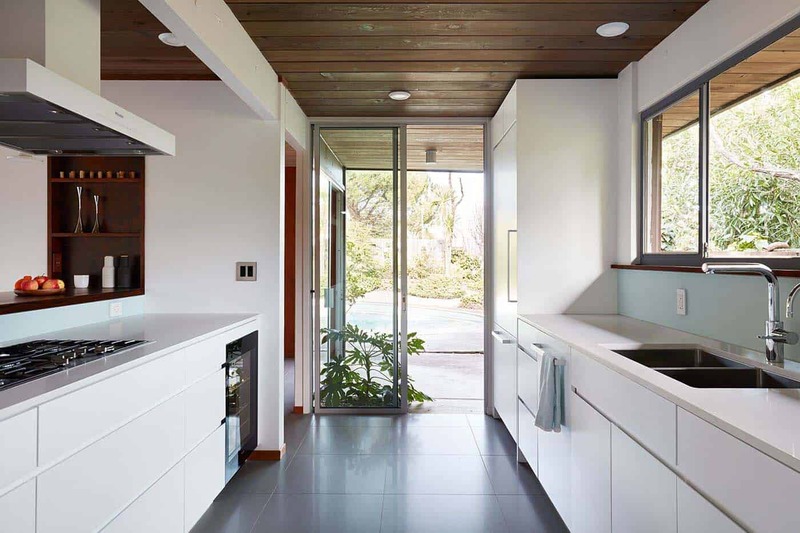 What We Love: This spectacular Eichler atrium home features a beautiful renovation with bright and airy living spaces. 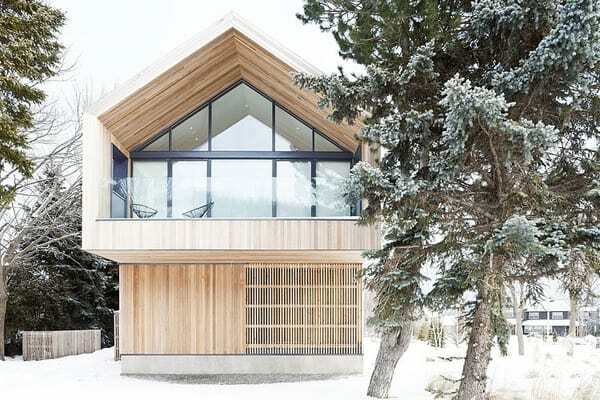 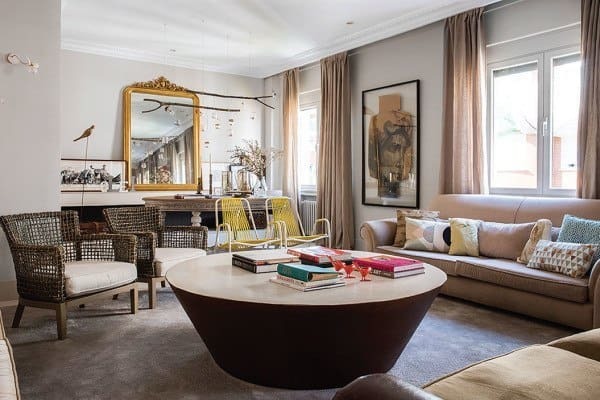 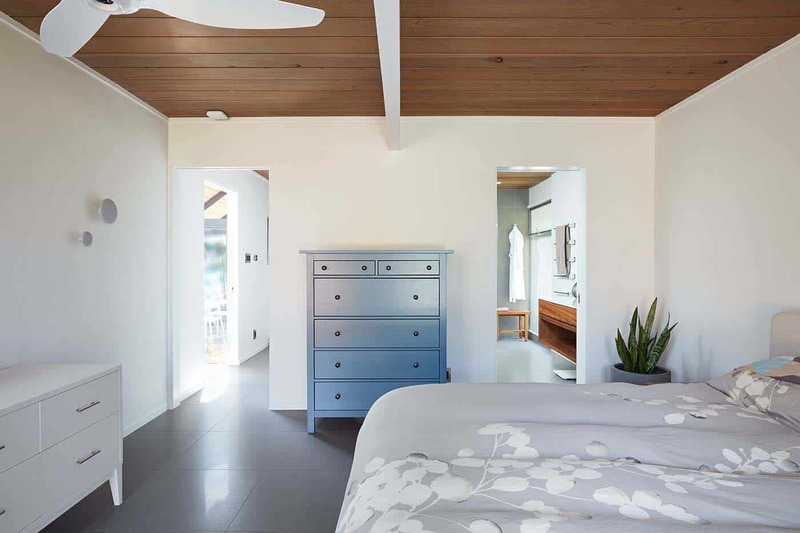 The design team did an amazing job of preserving the details of the original character while adding modern upgrades to suit the homeowner’s tastes and lifestyle needs. 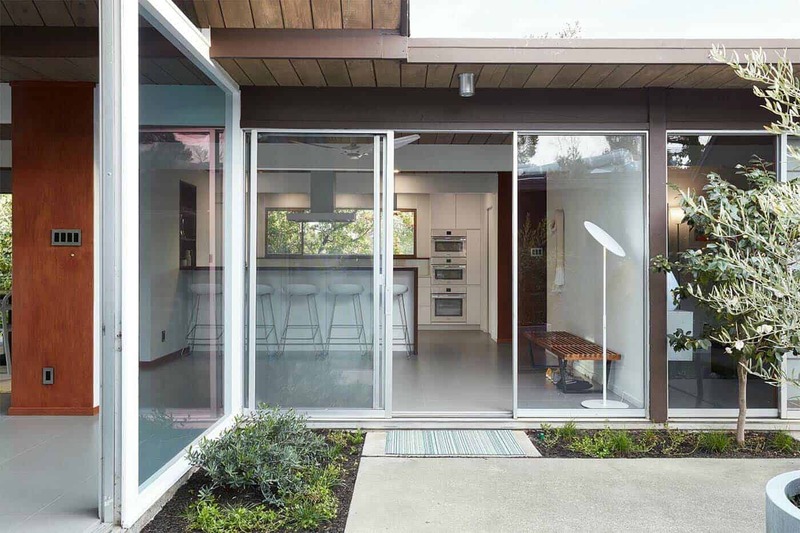 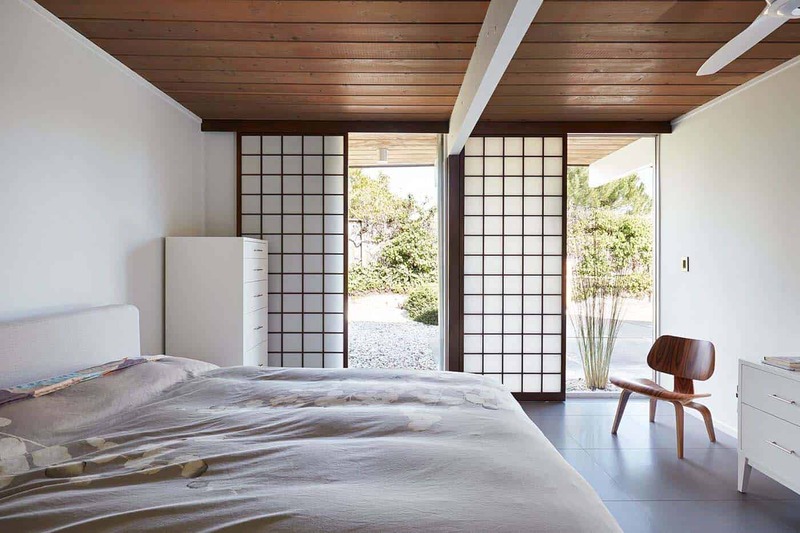 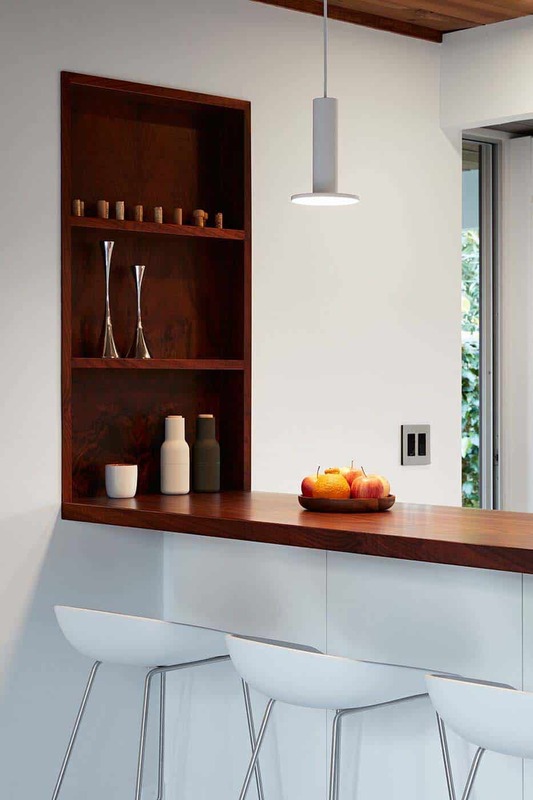 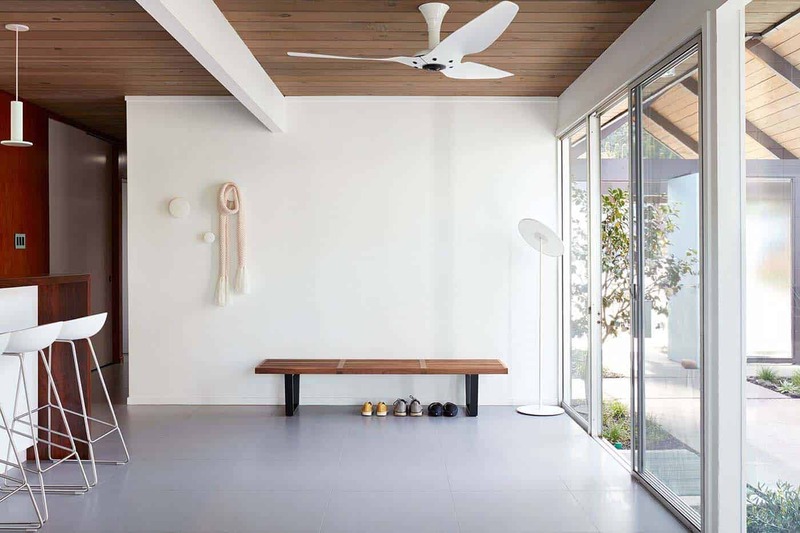 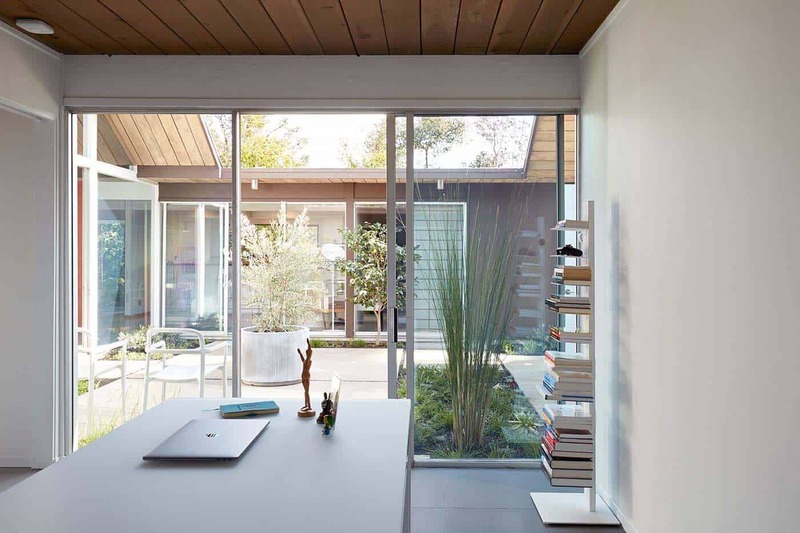 The indoor-outdoor connection helps to keep this compact footprint feeling open and spacious, offering light-filled interiors that are absolutely brilliant… Readers, what are thoughts on the renovation of this Eichler home. 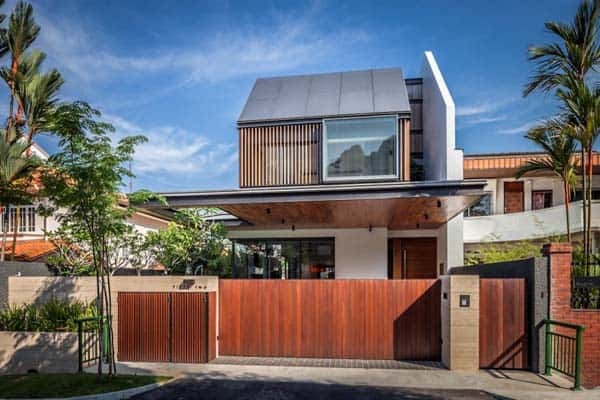 Are there any details you would change? 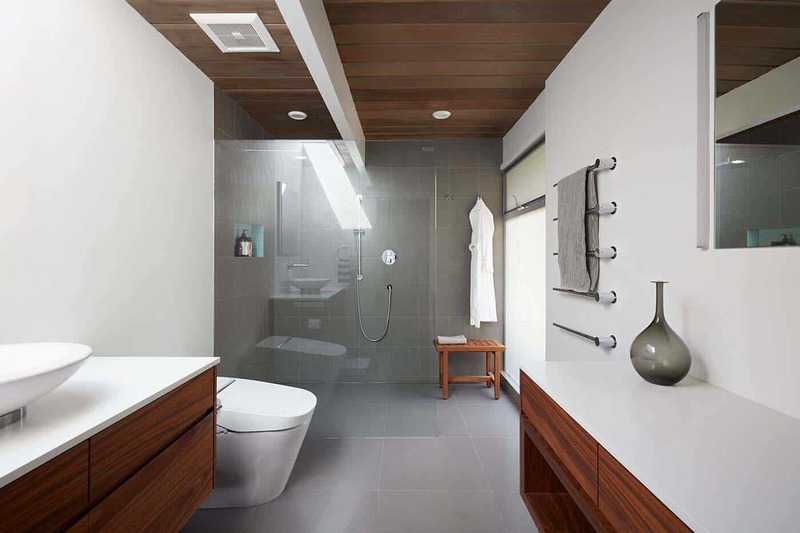 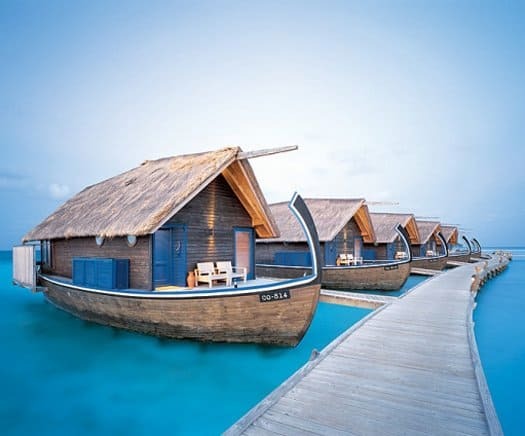 Please share your feedback in the Comments below!